Off the Hook Astronomy: Goodies! I have been extremely well behaved of late when it comes to yarn purchases. I haven't bought anything new for myself since November, when I went to Victoria. And really, that was travel yarn, so it barely counts. At any rate, I certainly deserved a treat. 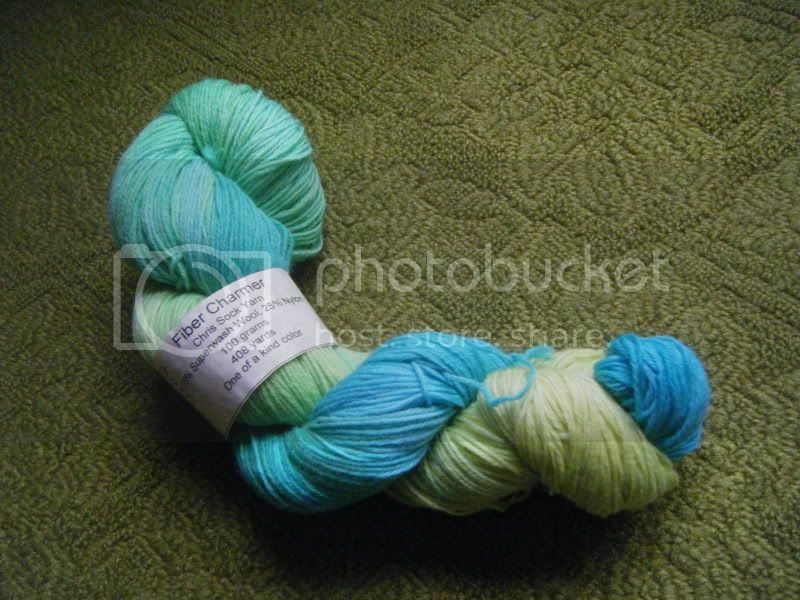 My friend Sherry pointed me towards a few Etsy shops that sell gorgeous hand-painted yarn, and I couldn't resist buying a few things from Fiber Charmer's shop. I mean, the yarn was on sale, and the roving was fairly cheap... totally justified. 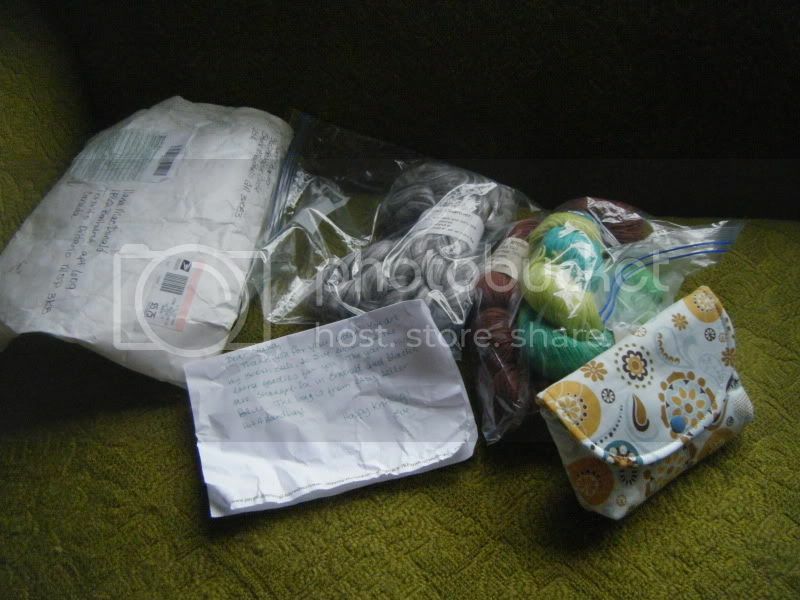 It turns out I had been lucky enough to be Fiber Charmer's 300th sale, and so she included a lovely hand-written note, and a few extra little goodies! 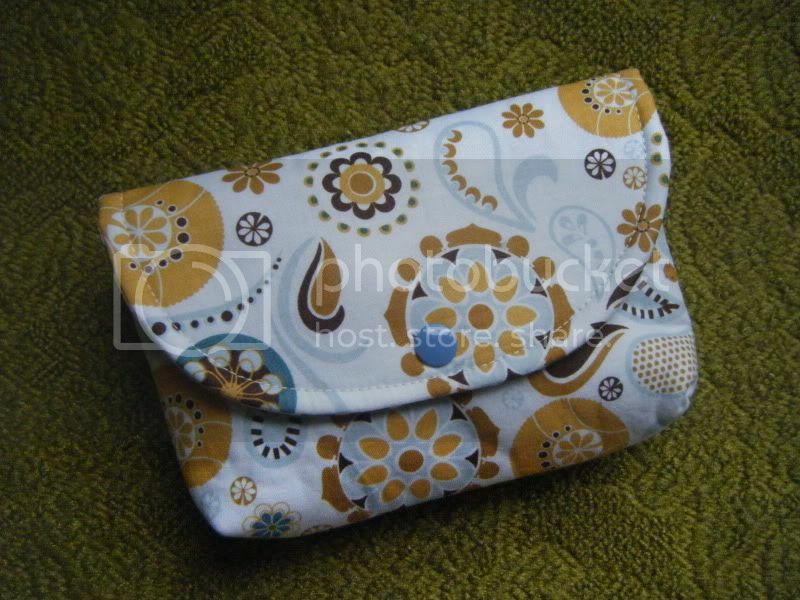 First of all, she gave me this adorable little hand-sewn pouch from Etsy seller Hot4Handbags. 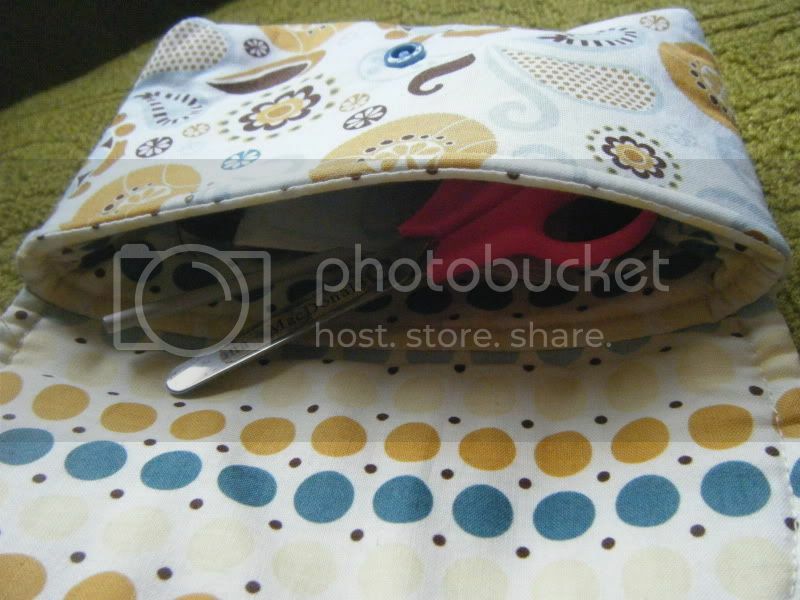 It's the perfect size to fit all my notions, and so I immediately transferred them from the little crochet pouch I was using to this one. 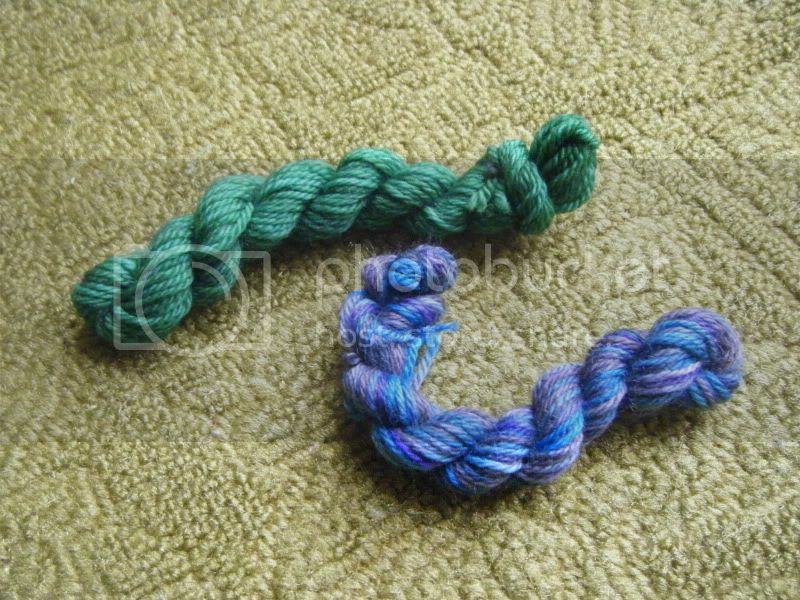 She also sent along some mini skeins of Shangri-la yarn in Emerald and Black & Blue. I'm not sure what I'll use them for, but they're so cute! 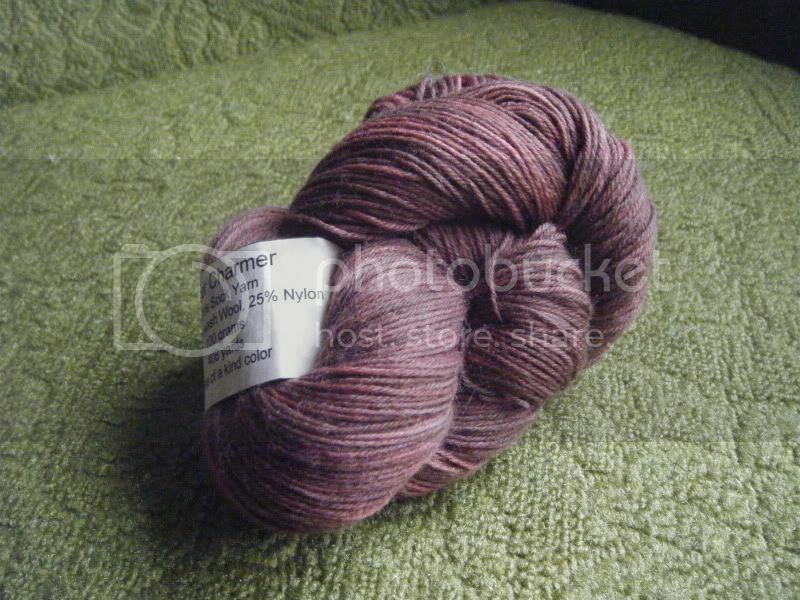 Next up I got a skein of Chris Sock in Mood Ring Red Brown. It looked a little redder on my computer screen than it does in real life, but it's still super gorgeous. I'm thinking a sock with travelling stitches would be perfect for this one. 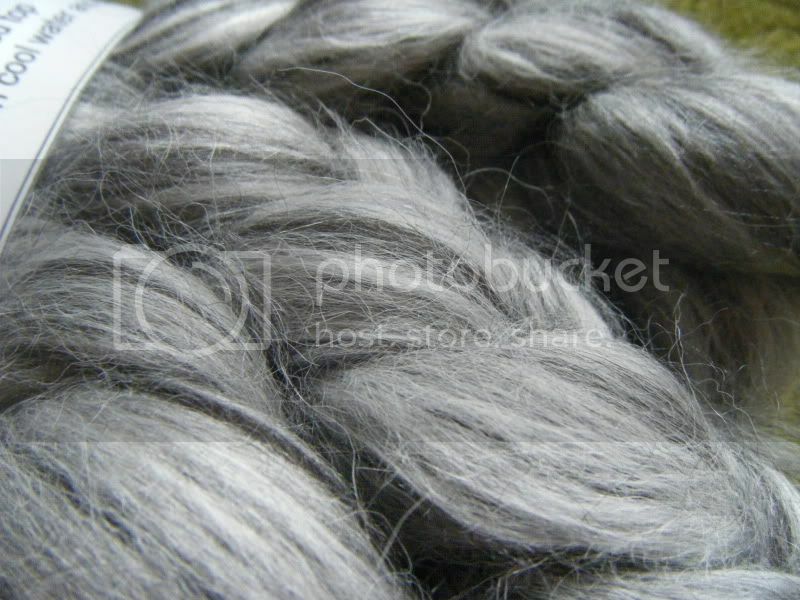 Last but not least, I couldn't resist ordering some spinning fibre. 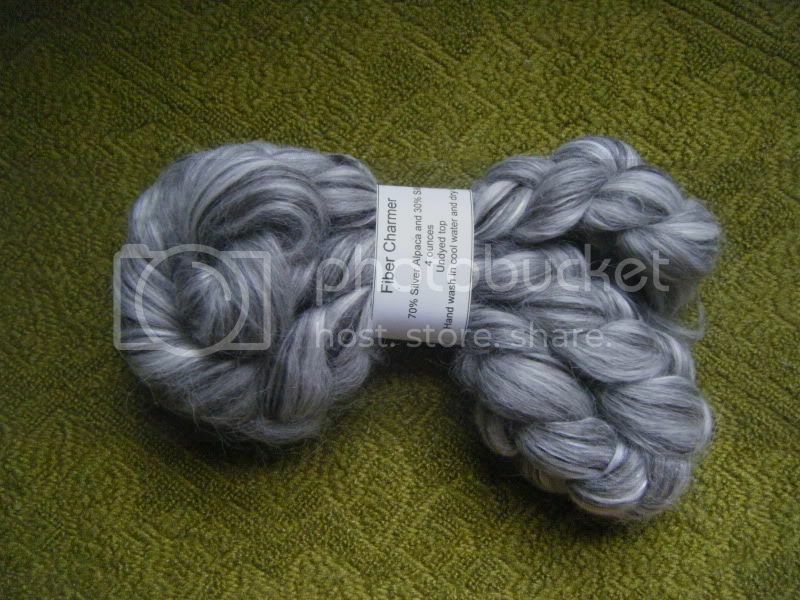 Fiber Charmer's hand-dyed fibres are amazing (seriously, check them out), but I was attracted to this lovely braid of 70% silver alpaca and 30% silk. Oh man it's soft... I just want to rub it against my face all the time. I don't know what it's eventually going to become when I spin it, but I'm sure it'll be gorgeous. Nice haul! 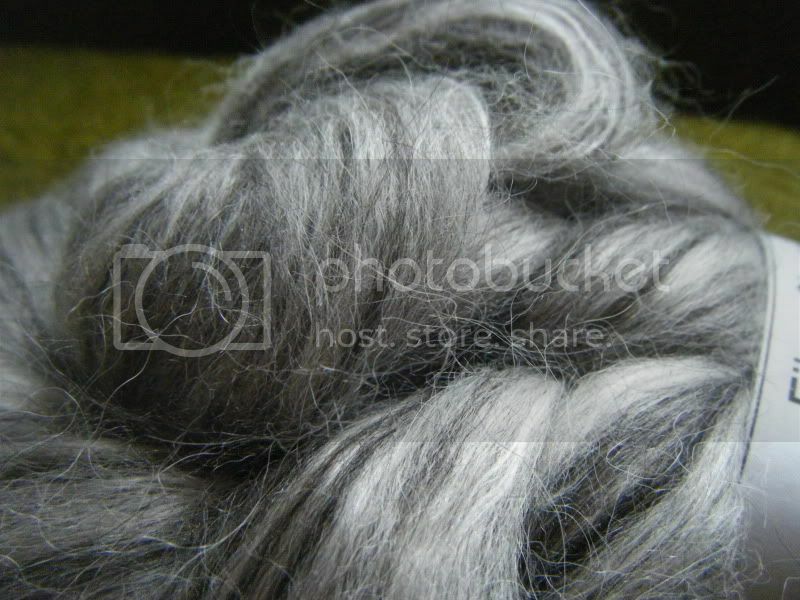 That roving looks like my hair!